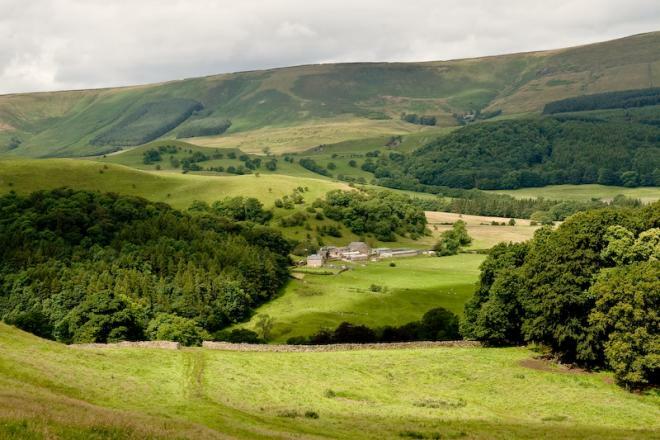 The Forest of Bowland is a landscape rich in heritage, designated as an Area of Outstanding Natural Beauty, much of this beauty is related to the wild nature of the landscape - itself a result of hundreds, if not thousands of years of human activity. 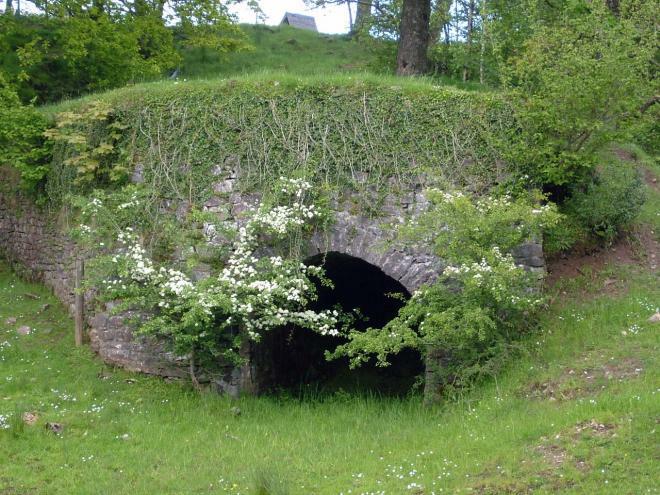 Many of the features present in Bowland today were established in the post medieval period. Across Bowland there are many fine examples of the stone buildings that were built to replace timber houses between the 16th and 18th centuries, with their characteristic stone mullions, lintels and datestones. There are also sites that survive as isolated reminders of the medieval heritage of the Forest of Bowland, for example the Cistercian monastery at Sawley. 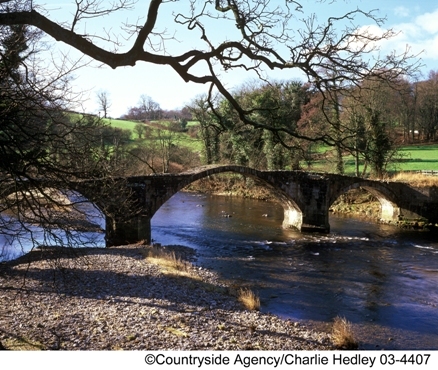 It was the medieval period that perhaps had the greatest impact on the Bowland landscape. During this time the Royal hunting forests were established - the title ‘forest’ refers to hunting rights, and not to a large expanse of woodland, as we interpret it today. The King used his rights to prevent landowners from clearing and cultivating the land, restricting development and prohibiting change. This controlling influence continued after the Forest laws were revoked in 1507, as deer parks and smaller estates replaced the hunting forests. There were five main forests - the Royal Forest of Bowland and four others belonging to the earldom of Lancaster at Bleasdale, Quernmore, Wyresdale and Pendle. Hunting in these areas was traditionally for deer and wild boar, together with rabbits, foxes, hares, pheasants and partridges. Managing the land for game hunting, primarily grouse shooting, has remained a predominant influence on the landscape, and several large private landowners remain today, such as the Duchy of Lancaster, the Duke of Westminster, and Lord Clitheroe. However the current largest single landowner is United Utilities - which manages a large area of the fells primarily for water catchment. Bronze Age settlers cleared trees from the fells and began cultivating the land. They left little material evidence of their presence, but the fells have remained largely clear of trees ever since. Other pre historic remains in the area include a cairn on Parlick Pike and Bleasdale Circle. The Romans left behind two key routeways through Bowland, the north-south Ribchester to Carlisle road, and a lesser east-west route which is evident north of Downham. The Norse settlers left their impact in our language as well as the landscape - for example, ‘Pen’ in Pendle means hill; ‘Tolfin’ was a norseman who founded what is now called Dolphinholme (‘holme’ is an area of flat land). Contrary to popular misconceptions, the origins of the name Bowland have nothing to do with archery (“the land of the bow”) or with medieval vaccaries (Old Norse, bu-, cow). According to Ekwall (1922), the name derives from the Old English boga-, Old Norse bogi-, meaning a “bow or bend in a river”, and was likely coined in the tenth-century to describe the topography of the Hodder basin, with its characteristic meandering river and streams. The Domesday Bogeuurde is an instance of this usage – a placename thought to designate Barge Ford (formerly known as Boward/Bowerd), a ford that sits on the wide, pronounced bend of the Hodder at its confluence with Foulscales Brook, due southwest of Newton. Medieval vaccaries (a type of cattle farm) at Sabden and Marshaw, the motte and bailey castles in the Lune valley, and the monastery at Sawley.